Last night we couldn't quite come away with a win on the kickball field or at the flip-cup table, but everyone contributed and had a good time. Kayode brought the "Big House" and set the tone for the party. Ryan strategically constructed the lineup card better than Twins' manager Ron Gardenhire could have done. Scott K. made a dazzling debut with the team with a couple nice catches and a nice job at the plate. Sarah got her team shirt, but might have to take it to a tailor. Jen was ready to kick some balls, and did well even with an injured leg. Gina did her best behind the plate to keep our cocky opponents in check. Inge was playing some mad defense at 3rd base and saved probably 5 runs from scoring. Gleb dodged cricket balls as he tracked down fly balls in left field. Kyle played a few different positions and nothing got past him. Johanna was always 3rd up to bat, which she doesn't prefer, but got some nice kicks in anyway. Meghan and Lexie played exceptionally, mostly because they didn't have to put up with Taylor's nonsense. Scott L. was good at eating the pasta at the after party. Then Robin started off the bull-riding competition with a bucking good ride. Steve also rode the bull and got some nice style points with a crazy choreographed routine. You had to see it to believe it! 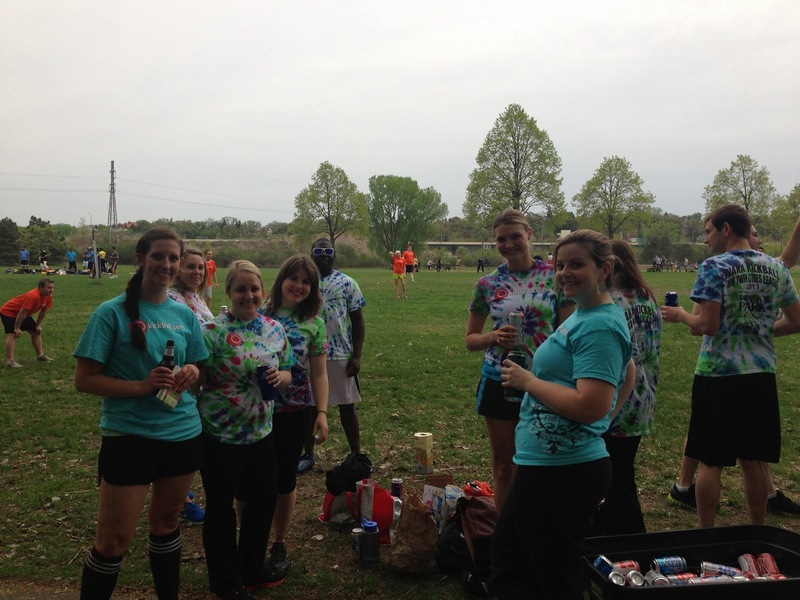 Taylor will return from kickball managers training camp next week and hopefully we'll be able to notch our first win!